Affordable Cosmetic Dentistry – Wear a Beautiful Smile! 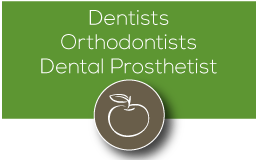 Since orthodontics have taken a large part of the modern market, so has cosmetic dentistry, which not only includes fitting on braces to make a gradual alignment of teeth. Generally speaking, cosmetic dentistry widely covers bridging, treating with laminates, veneer, dental implants, contouring, and other procedures for the purpose of improving the appearance of the teeth and smile. In Australia, cosmetic dentistry has become one of the booming industries. If you are looking for an affordable dentist in Brisbane, you will easily find one that offers holistic preventive and constructive dental services. 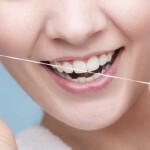 We at Gumdale Dentists, give you high-quality dental care with flexible payment plans. We don’t simply focus on treating the problem, but also work toward improving the physical appearance of your teeth and smile. As a cosmetic dentist in Brisbane, specialising in cosmetic dentistry we have the competitive edge in providing the most benefit the treatment has to offer. Here is a nutshell view of some top benefits of cosmetic dentistry to consider. Poor dental health leads to other health concerns, such as heart disease, kidney disease, pancreatic ailments, and other major complications. It is because the bacteria that causes tooth decay and gum problems can travel to other parts of the body, causing relative damage to vital organs. This is why health professionals highly recommend that you take care of your teeth to keep your whole body healthy. Treatments like oral prophylaxis, bleaching, porcelain veneers, bonding, and dental implants will compel you to regularly have your teeth checked. As previously mentioned, regular dental check-ups can help maintain healthy teeth and gums. Once you apply for cosmetic dental treatments, you will become more responsible in checking your teeth, preventing future damage. Missing teeth, yellowish enamels, crooked teeth, and other aesthetic flaws can be corrected through cosmetic dentistry, thus pulling your age to 10 or 20 years younger. Some of the accomplished people of today’s modern society believe that success can be relative to a positive outlook in life as well as a beautiful countenance. This is especially true in the customer service industry, where a pleasing personality and appearance are great factors to success. Cosmetic dentistry, as what most people know, is quite expensive compared to the basic oral prophylaxis and tooth extraction. Not really. It is because the insurance industry is opening its doors to taking part of dental privileges for its subscribers. Also, most dental clinics are now offering flexible payment plans for interested clients. 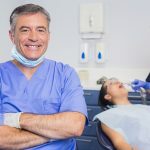 Like in Australia, specifically in Brisbane, the demand for cosmetic dentistry has increased at around 50-60 percent, with middle-aged women being the most number of clients. So, getting access to convenient payment plans has become essential. While competition becomes so tight in the cosmetic dentistry, here at Gumdale Dentists, we give you the most affordable treatment plans as well as payment terms that will fit your needs and budget. You can easily book an appointment with us online. 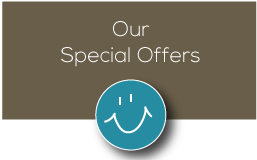 We offer you two flexi-ways to get the cosmetic dental procedure you want. It is much easier for you to apply for the procedures if you have insurance. We will provide you with details of the treatment plan and the total cost, and you can then check with your insurance company about the coverage of your subscription. This way, you can directly coordinate with them with regard to payments. Paying your treatment plan weekly, fortnightly, or monthly is another payment plan we offer. It requires no interest within the duration of your treatment, which is usually a 26-week period. However, a 20% deposit may be required before starting the treatment. 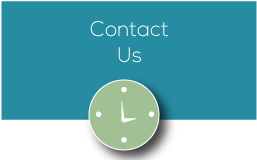 If you need further assistance for your queries, you can contact the Gumdale Dentists Treatment Coordinator. Achieve that perfect smile without spending a lot. We are your excellent cosmetic dentist in Brisbane that provides affordable and premium quality dental care. Dental Implants – hype or have to have? 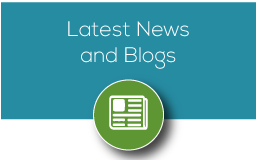 ← Should You Get the Best Dental Implants in Gumdale Today?